$5.50 per invitation suite for 100 invitations fully assembled. 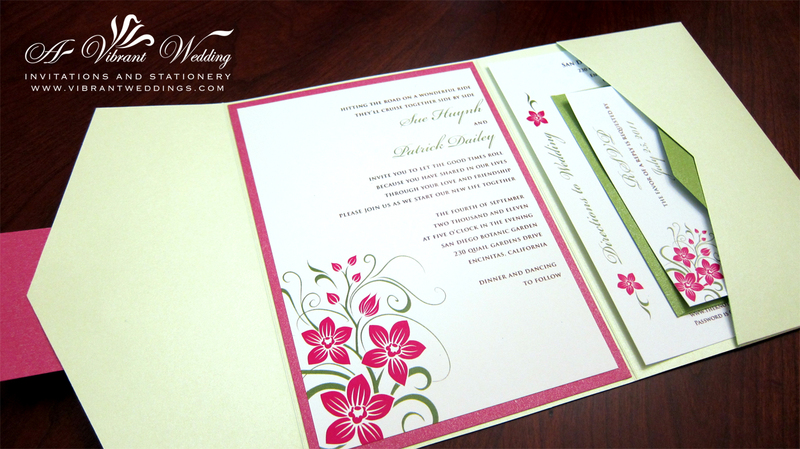 $4.50 per invitation suite without assembly. 5×7″ Double-layered invitation and a Double-layered RSVP card, both on metallic shimmer cardstock paper with two blank matching metallic envelopes. 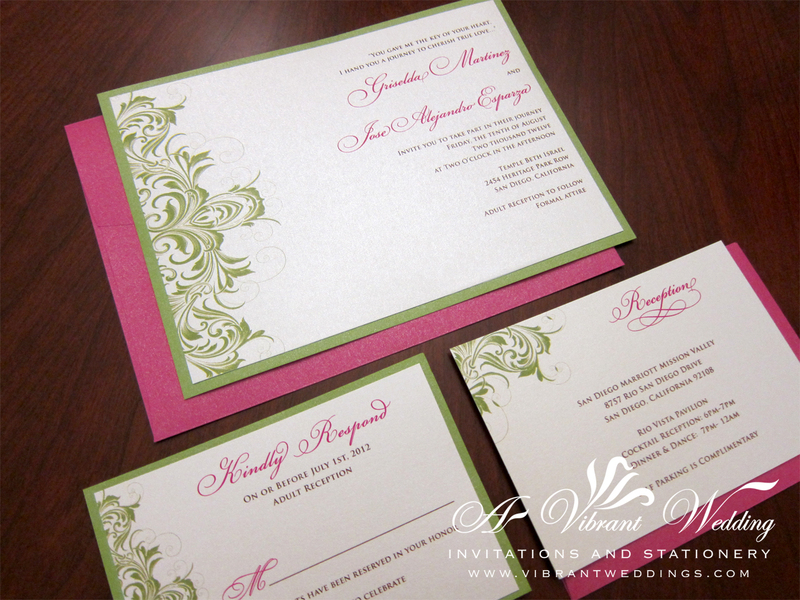 5×7″ Green and Pink Wedding Invitation – Victorian Scroll Design, Double-layered with Pink metallic envelopes. 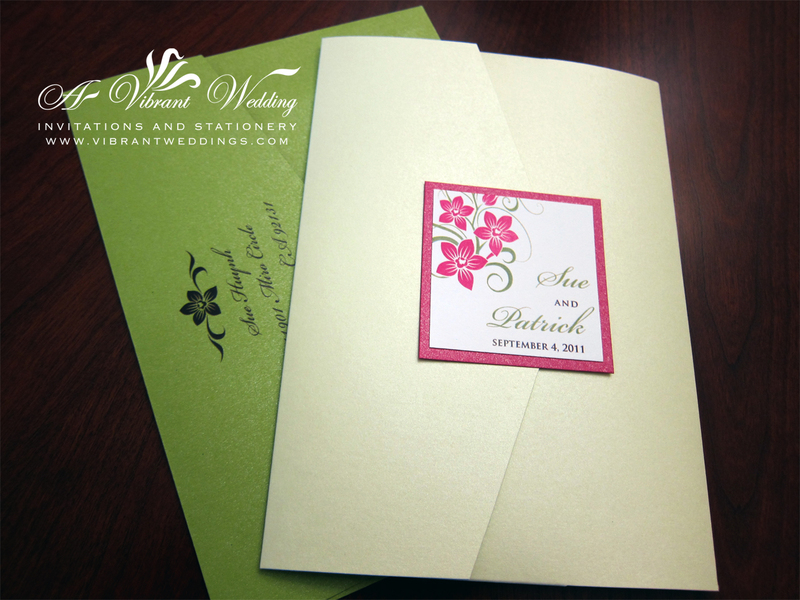 Includes Pocketfold invitation, the Response card and two blank metallic envelopes (Green or White). 5×7″ Pale Green metallic Pocket fold with outer seal, Fuchsia metallic border card stock paper, printed on matte white card-stock paper. Double layered invitation (two sheets of card stock paper assembled together). Dimar was wonderful to work with. She provided some great suggestions and did a marvelous job with my wedding invitations. They turned out great, and I look forward to working with her on future projects. She was also always very kind and professional – she was ready, punctual, and completely prepared for every meeting. She has a lot of experience in the area and always genuinely cares about meeting her customer’s expectations. 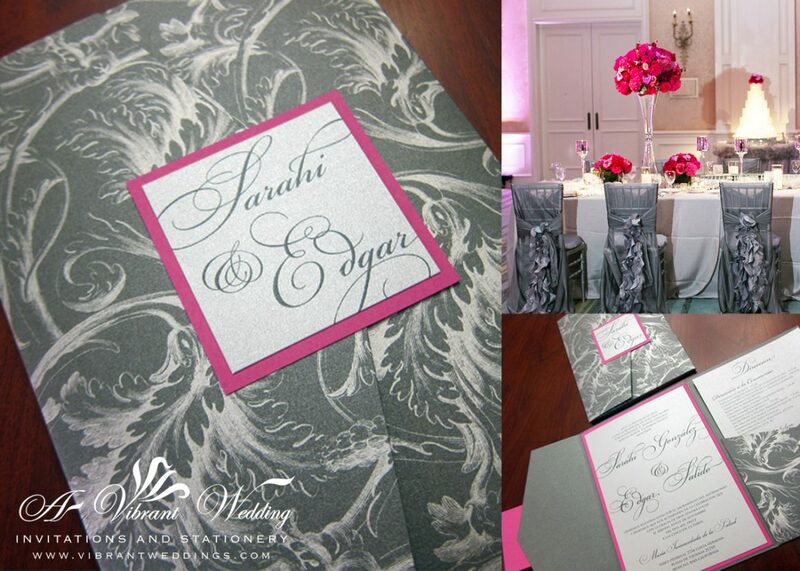 If you are looking for someone to be a partner in designing your invitations, I highly recommend Dimar!